There is a new professional sports franchise headed to Montreal. Rooths Sports Events, a new company headed by former Montreal Juniors president Martin Routhier, is behind the initiative. Plans first called for the team to play out of the new arena in Boisbriand. But now that the Juniors have been sold and moved there, Routhier is reportedly switching gears and will do the smart thing – fill the void left at the Verdun Auditorium. Word has it that the Canadian Professional Soccer League will only have a 20 game schedule beginning next winter. That is indeed a more prudent way to go. As a warmup, Routhier’s Montreal Lacrosse is introducing a two day summer camp for youth between the ages of 10 to14 years old. Chad Fairfoull, the general nanager of new Montreal Lacrosse pro team, will be the camp instructor with the help of professional lacrosse players. Fairfoull started playing lacrosse at a young age and pursued his passion first as a player and then in the coaching ranks. He has held the position of head coach of the West End Warlocks in the Quebec Senior Lacrosse League. Not only is he a player, coach, and referee at the highest level, but he was also elected vice president of Administration for the Canadian Lacrosse Association in 2010. The camp takes place on July 11 and 12 (9 a.m. to 4 p.m.) at Le Club, Beaconsfield (205 Alton Drive). There is a $125 fee. “We intend to make sure that this camp is a truly memorable experience,” notes Tanier Gohier, director of operations for Rooth Sports. Participants will learn the basic skills needed to play lacrosse and develop a passion for this fast growing sport. “Our mission is to ensure the safety, and quality experience your child deserves,” adds Gohier. Each participant will receive, as a thank you, a $50 gift certificate valid only for the purchase of a season lacrosse ticket for the 2011-2012 schedule. Meanwhile, Rooth Sports is working on a possible other exciting project which could bring life into the Verdun Auditorium. Routhier is a former captain of the McGill Redmen hockey team. His friend and teammate was Mathieu Darche, now of the Canadiens. Rooth Sports will be working with McGill this year to promote its hockey program. In the works are one or two regular season games at Verdun between the Redmen and the Concordia Stingers. If you are interested in a registration form for the lacrosse camp email tgohier@rooths.com. El Morocco Restaurant on Drummond Avenue downtown is worth the visit. While the menu is no longer kosher, the food tastes exactly the same - perhaps even better. 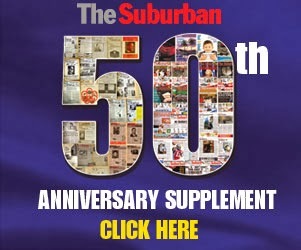 Read my review on page 17 of The Local Suburban. 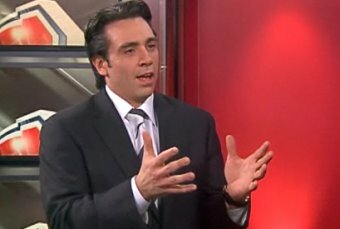 La Télévision Ethnique du Québec (TEQ), a public access and ethnic cable channel, it morphed into CJNT TV in 1997 – again focusing on mainly ethnic and multicultural content – before coming under the ownership of CanWest Global. It then also became identified as CH and E! Very quietly, just two years ago, an Ontario-based outfit called Channel Zero purchased CJNT. Last winter it was formally rebranded Metro 14 and last week the Toronto/Hamilton-based group made a big splash at trendy Rosalie Restaurant on Avenue de la Montagne. Metro 14 is owned by Channel Zero Inc., a private Canadian television broadcaster, has that purchased CHCH-TV in Hamilton and CJNT-TV in Montreal from CanWest Global. This deal ensured the continued operation and local focus of both stations and the employment of all employees. While the main focus of Metro 14 involves 18 hours of American TV simulcasts, original and foreign movies, multicultural programming and music videos, Channel Zero President and CEO Romen Podzyhun said that he has given CJNT boss Isabella Federigi a mandate to seek out some local programming options. 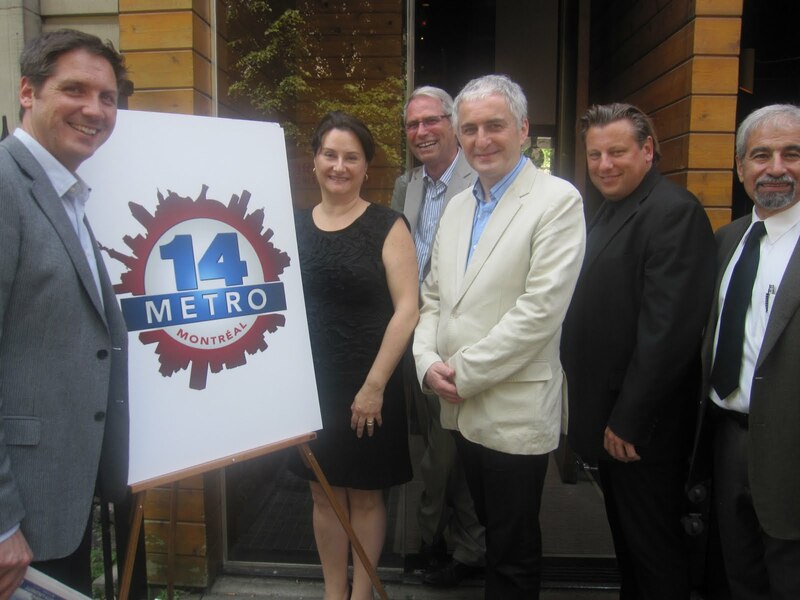 Metro 14 has also reeled in Brian Kenemy as a senior sales executive. Kenemy is a former general manager of The Q 92.5 FM and well connected in the community. Among those at the launch was entertainment guru Sheldon Kagan. How about the Sheldon Kagan Show? The man in question kind of liked the idea. I suggested to Podzyhun that he introduce a once a week late night TV show similar to Leno and Letterman, hosted by Aaron Rand and Tasso. What about a provocative current affairs program, a Montreal version if you will of Radio Canada’s Tout le monde en parle? In the spring of 2012 Channel Zero will present the television broadcast premiere of Avatar containing many elements which did not appear in the Oscar winning film version. I have already b een watching Sportsline, weeknights at 7 p.m., with provocative host Mark Hebscher (left). 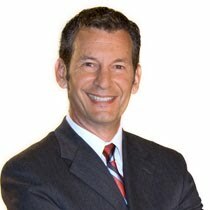 Many years ago Hebscher was a sportcaster on Montreal radio. Metro14 Montreal is available in the Greater Montreal area over the air on channel 62 (UHF) and on cable on Videotron, on Rogers in Ontario and across Canada on satellite on BellTV.